SORRY – The App is no longer supported but the mobile website includes most features. 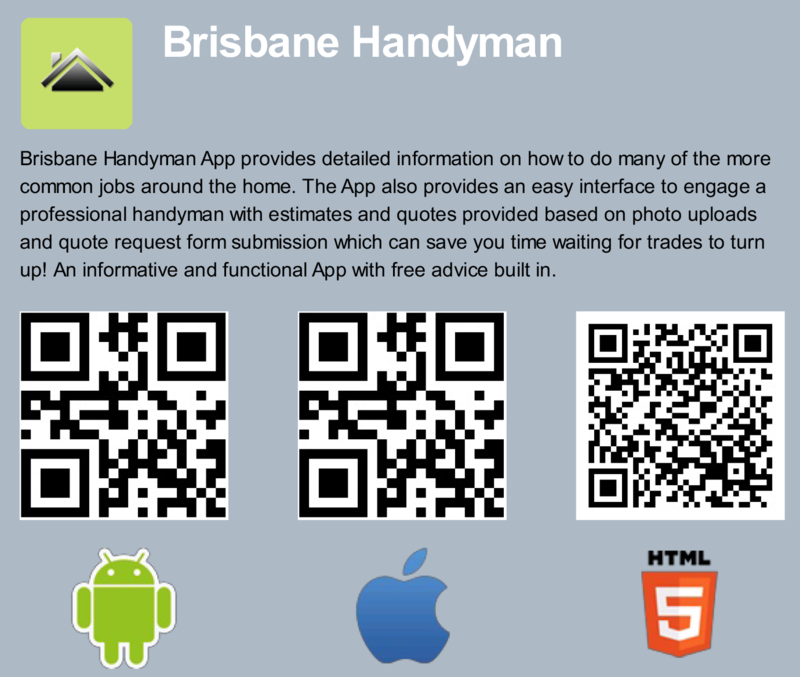 The “Brisbane Handyman” Services and Home DIY App features Booking, Photo Upload, DIY Tips, “Tap to Call” Emergency Trades and more. 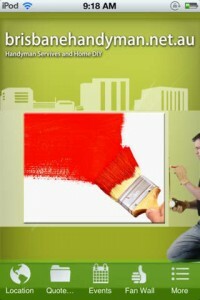 Now you can have Brisbane’s own Handyman App with you on the job and use the detailed DIY tips for reference as you work on your next project. 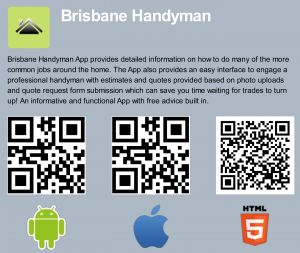 You can even check the local weather radar so you do not get rained off working outside and make job notes and reminders – all through the FREE Brisbane Handyman App.